Award-winning playwright Michael Hollinger seeks to demystify the creative process for writers, emphasizing the constant negotiation between design and discovery. He believes that his responsibility as a teacher is to reveal the “messy” process of creation and revision on the way to a finished work. The Scholarship@Villanova series featuring Professor Hollinger continues on Wednesday, Feb. 17 at 4:30 p.m. in Falvey Memorial Library’s first floor lounge. Several of Professor Hollinger’s plays premiered at the Philadelphia’s Arden Theatre Company, including “Opus,” “Red Herring,” “Incorruptible” and “Tiny Island.” In addition, his plays have been produced throughout the United States, including New York City, in London, Paris, Athens and elsewhere in Europe. 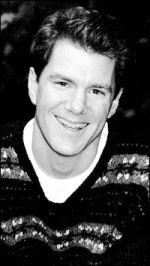 Associate Artistic Director for the Villanova Theatre, Michael Hollinger has been teaching at Villanova University for 15 years and is an associate professor of theatre. This Scholarship@Villanova event, the second in the series sponsored by Falvey Memorial Library , is open to the public and is approved for Augustine and Culture Seminar (ACS) co-curricular credit.